'MTSU On the Record' tunes up ..
MTSU Records Office provides f..
NANNING, China — Middle Tennessee State University’s swing through China ended Tuesday, May 22, with visits to two universities in Nanning — one that has a long-standing partnership with the Murfreesboro campus and the other one hoping to develop a relationship. MTSU President Sidney A. McPhee met the new leader of Guangxi University, Zhao Yueyu, before delivering a lecture to prospective study-abroad students. It was the first meeting between Zhao and McPhee, as the Guangxi president assumed his leadership role about a year ago. About 120 Guangxi students are enrolled in a joint accelerated master’s degree program with MTSU. They devote three years of undergraduate studies in China, then two years of undergraduate and graduate work at MTSU to receive both a bachelor’s degree from Guangxi and a master’s degree from MTSU. About 40 Guangxi students will be on the Murfreesboro campus this fall. McPhee invited Zhao to come to MTSU, an offer that the Guangxi president said he would act upon in 2019. MTSU has about 1,500 international students, with about 300 hailing from China. McPhee’s trip underscored his focus on MTSU’s international undergraduate and graduate enrollment, particularly in China, as well as research opportunities. Earlier Tuesday, McPhee visited Guangxi University of Chinese Medicine, which focuses on traditional and plant-based medicines and practices. The MTSU president toured the institution’s nursing school, traditional Chinese medicine laboratories and teaching facilities. McPhee promised President Tang Nong that MTSU would look for ways to sync up with the institution, especially given the creation of the International Ginseng Institute, a partnership between MTSU and the Guangxi Botanical Garden of Medicine Plants to help Tennessee farmers grow ginseng. Iris Gao, MTSU’s director of the joint institute, lectured at Tang’s university following McPhee’s visit. The president’s stop in Nanning was the last in a four-stop outreach in China. It began in Beijing, then Hangzhou and Changsha before Nanning. The trip was organized by MTSU’s Confucius Institute. McPhee said he was encouraged by the response he received during the trip from prospective students, ongoing partners and new friends. “We’ve worked hard to get the message across that our university cares about student success on all levels, most certainly including our international scholars,” he said. 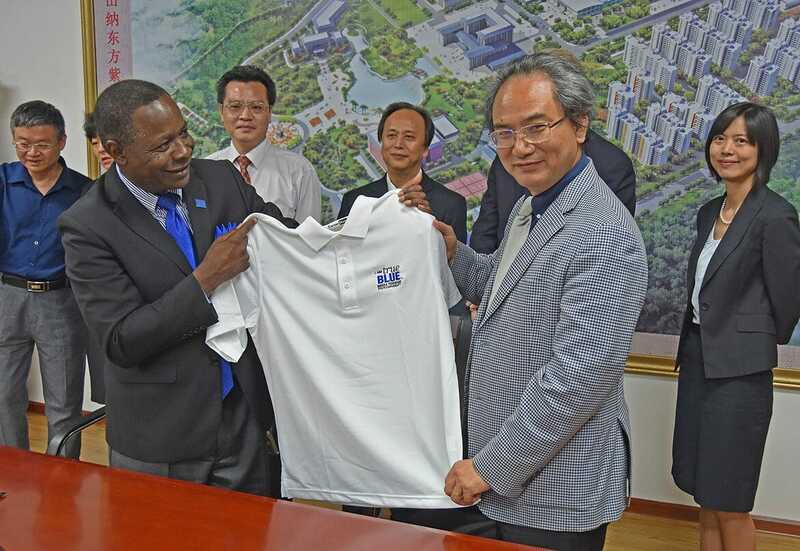 For previous stories about MTSU’s visits to China, go to http://mtsunews.com/mtsu-in-china/.